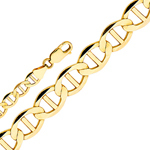 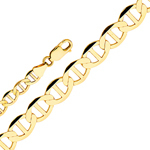 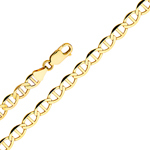 14K Gold Mariner Chains speak a widespread language understood by one and all. 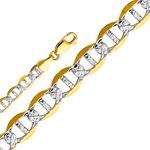 If you are looking for a special something for that exceptional man in your life, or just a little treat for yourself, look no further. 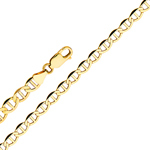 Crafted to last and make an enduring statement of success and taste, each Mariner Gold Chain is designed to fit in with his busy lifestyle. 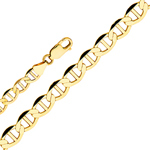 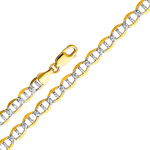 We carry an enticing collection of knockout 14k gold mariner chains that epitomize the face of modern day men. 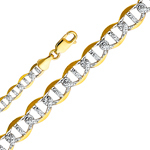 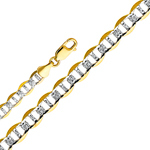 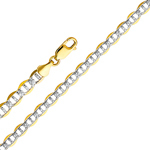 Choose from a variety of lengths and widths available for the mariner chain of your desire. 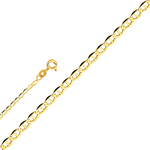 Worn alone, or mixed and matched, gold flat mariner chains are perfect for everyday accessorizing, yet dress up any outfit for a more sophisticated look.